Why would you want one of these oil filters instead of one at a car dealer or auto parts store? 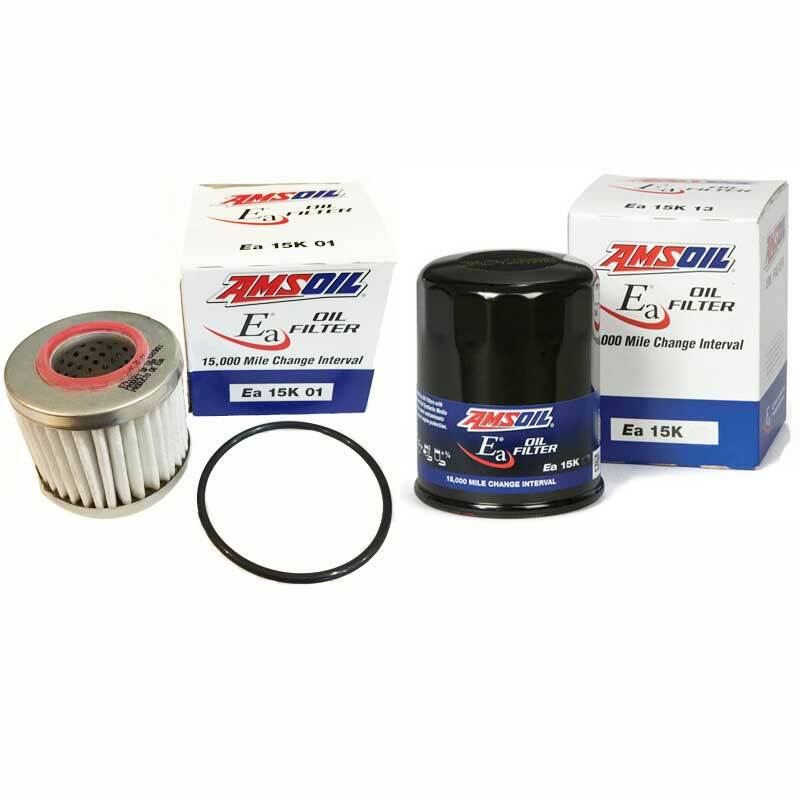 AMSOIL Ea Oil Filters (EaO, Ea15K) have one of the best efficiency ratings in the automotive market providing a filtering efficiency of 98.7 percent at 20 microns. Ea15K last up to 1-yr/15,000 miles. EaO versions last up to 1-yr/25,000 miles. Costs less to use one filter in place of 3 to 5 of the competitors. Filters out smaller damaging particles which means less wear on your engine. Longer lasting means significantly less oil changes needed. Saves lots of time + money. Efficiency is the filter's ability to capture contaminants. The more efficient a filter is, the more contaminants it will remove from the oil. Proper oil flow is essential to keeping engine parts lubricated at all times. AMSOIL Ea Oil Filters' synthetic fibers are smaller than the fibers used in traditional filters, allowing Ea Oil Filters to provide lower restriction. AMSOIL Ea Oil Filters have a greater capacity for small, wear-causing contaminants than competing filter lines. They provide convenience and cost savings through extended service intervals. You can check the filter guide and look up your vehicle to see which oil filters we have are compatible. If an Ea filter is not available, we also have high quality MANN and WIX filters available. Not all vehicles are capable of using an Ea oil filter. If you regularly use E85 fuel, this fuel contaminates oil. Caution: When using E85 fuel, you should be changing your oil at the manufacture's recommended intervals. 15,000 and 25,000-mile oil changes should be done with gasolines that contain no more than 10% Ethanol. When using diesel fuels in 2006 or older diesel vehicles in conjunction with select AMSOIL diesel oils, you can get up to 3x the factory drain interval. When using the Signature Series oils and driving up to 25,000 miles, it is best to change your oil filter 1/2 way through the 25,000 miles and then top off with a small amount of oil to replenish what was lost when removing the old oil filter. Where an Ea filter is not available, it is recommended to use one of our WIX or MANN filters. 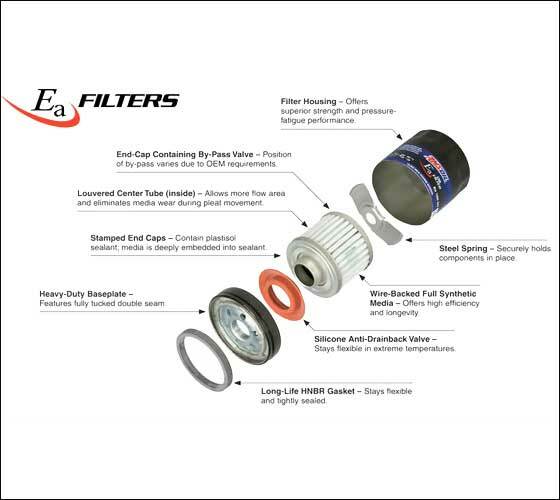 The filter guide below will tell you which filters are compatible with your vehicle.